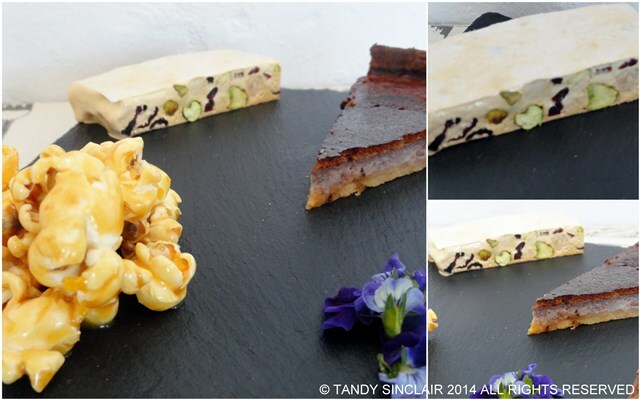 The lovely Teresa who blogs over at Cupcakes & Couscous is hosting this month’s I made it challenge nougat. I am going to have to do some research into finding a sugar free nougat recipe to make for this. I love nougat and this will be a real treat for me. I am so looking forward to the various recipes I know will come from this. Nougat is so versatile and can be flavoured with nuts or dried fruit, or even both. In fact, I have even seen ones with chocolate hidden inside. My new favourite contains ginger and honeycomb. That will certainly be a recipe worth trying to replicate. You have until midnight at the end of the month to post your recipe. Basically, have fun! Good luck on the nougat challenge!! I’ve nominated you for a Liebster Award. As I think your blog deserves it. Have a look at my post (http://fabulous-farmliving.blogspot.com/2013/10/nominated-for-liebster-award.html) to read all about how it works and to carry forward the blogger award. I will try next weekend! Oo never made nougat! Such a great challenge! I have tried a few times – it is very sticky! That sounds like a challenge, but I know you can do it! Looking forward to seeing the recipes as we love nougat and it’s very typical in Spain for Christmas but as we’ll be in England, I could give making it a go! Good luck with finding a recipe Tandy – I’m looking forward to seeing your nougat.